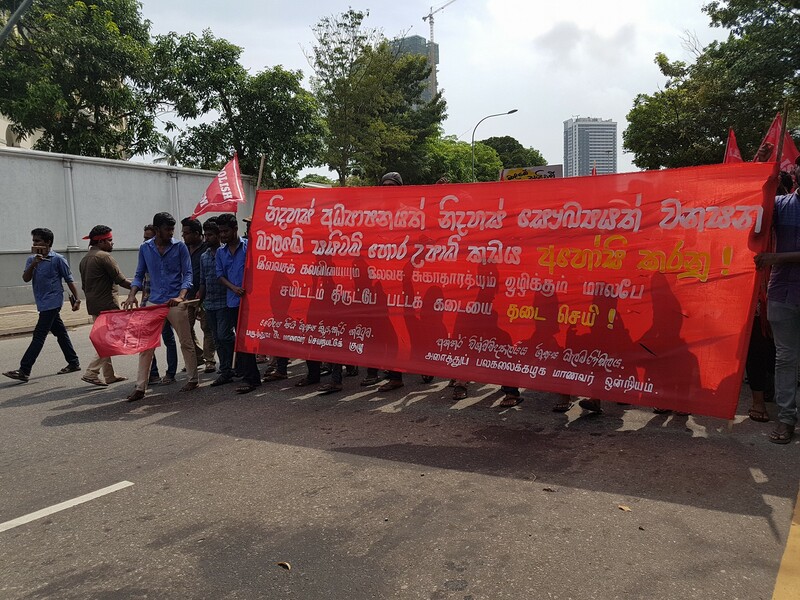 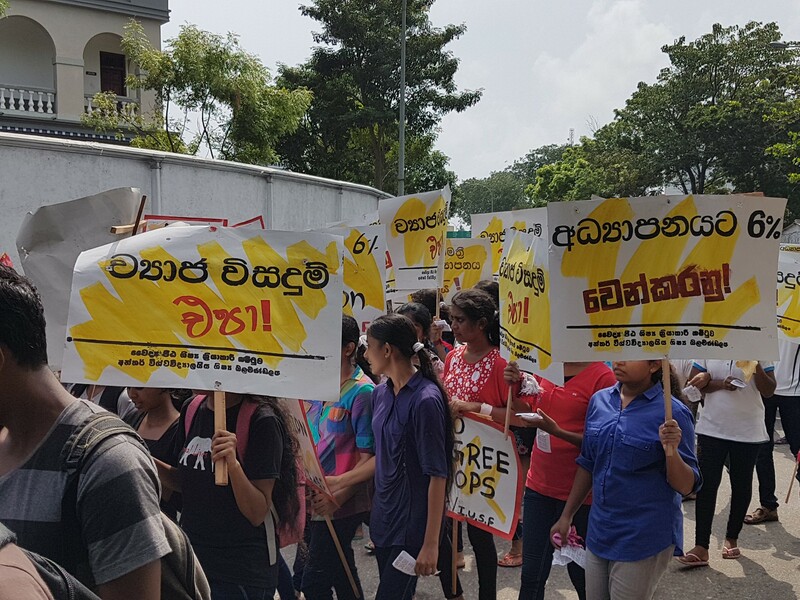 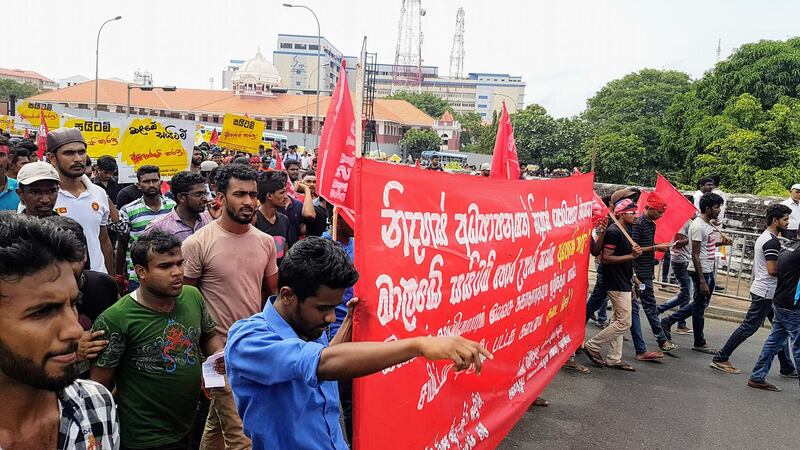 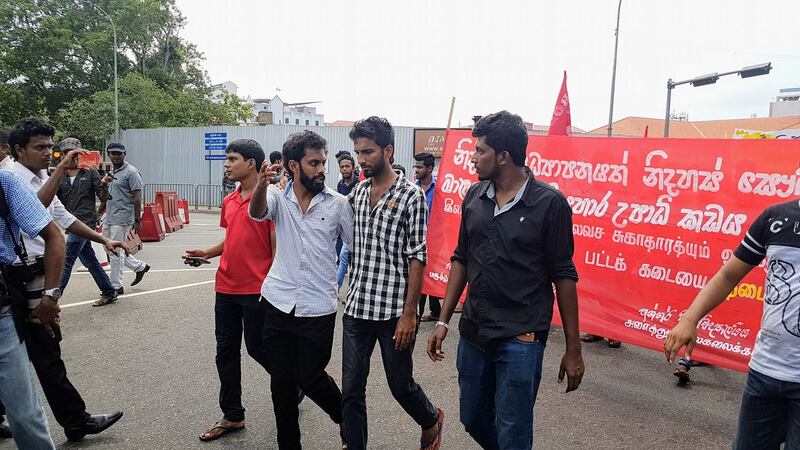 The agitation held today (17th) afternoon to oppose SAITM illegal medical degree awarding institution at Malabe and demanding solutions for issues that exist in the education sector was attacked by anti riot squads with tear gas. 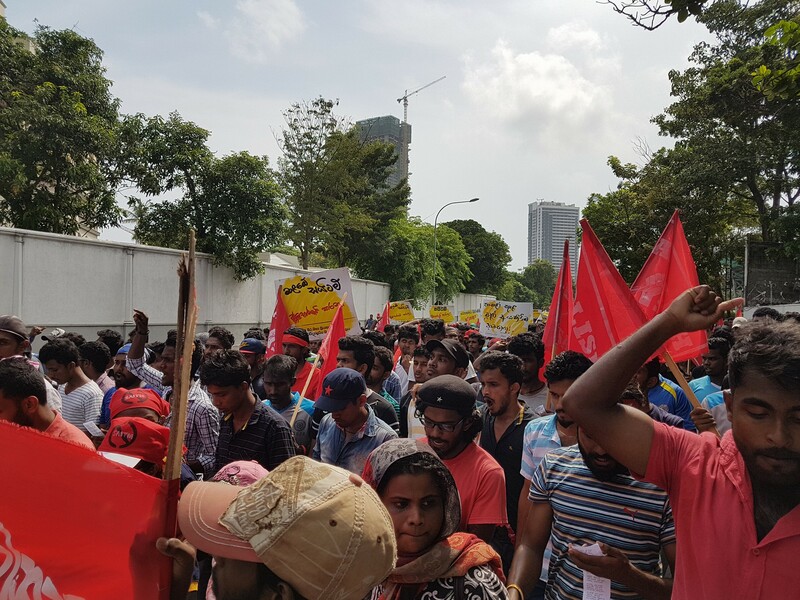 Police attacked the protest march with water cannon and tear gas while it was passing Viharamahadevi Park. 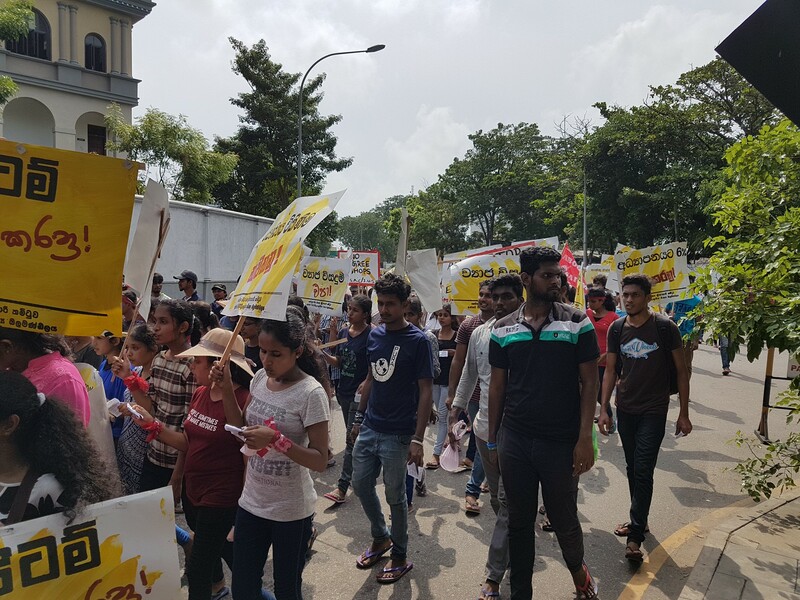 The protest march and agitation was organized by the Inter University Students Federation and Inter medical faculty students’ action committee. 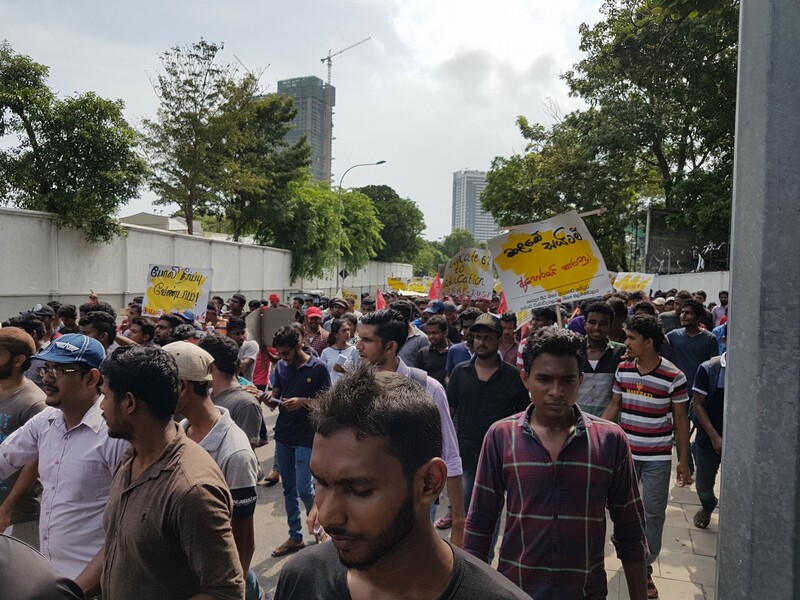 Yesterday, on a request by the police, Colombo Fort Magistrate issued a stay order preventing the protest march being held.